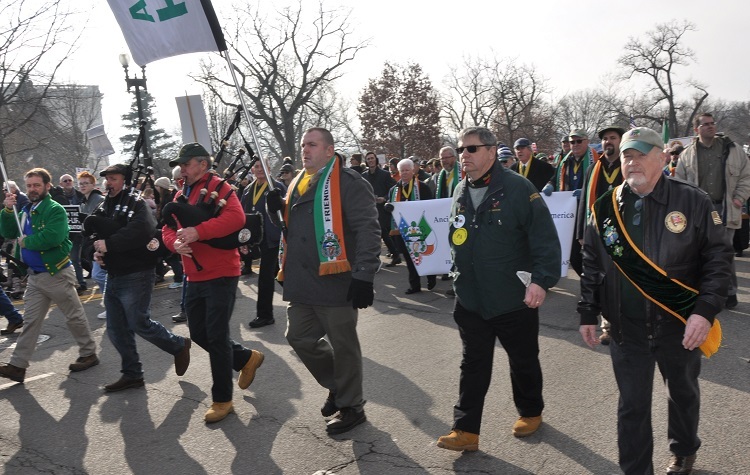 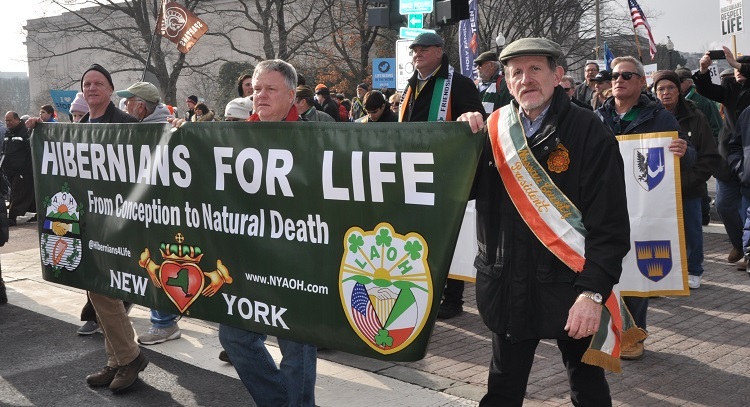 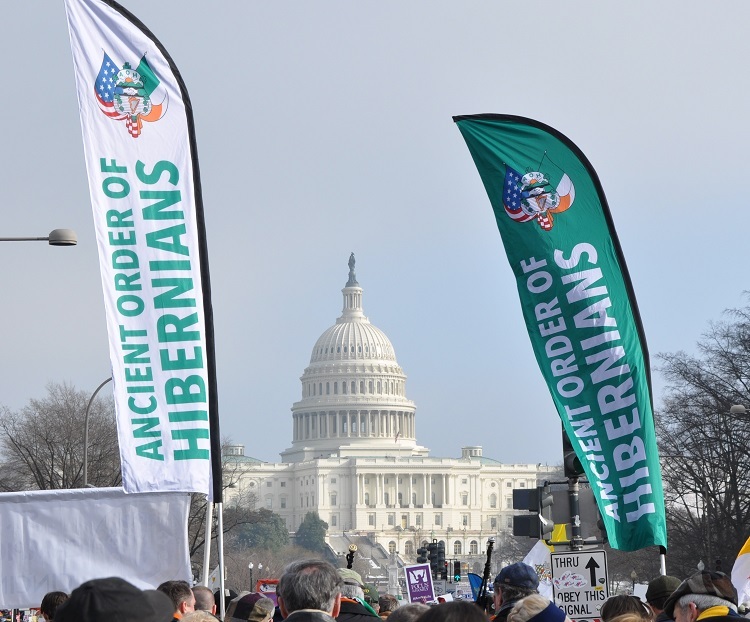 The pipes were calling on Constitution Avenue during the annual March for Life as Hibernians from across the nation gathered to stand witness for the unborn. 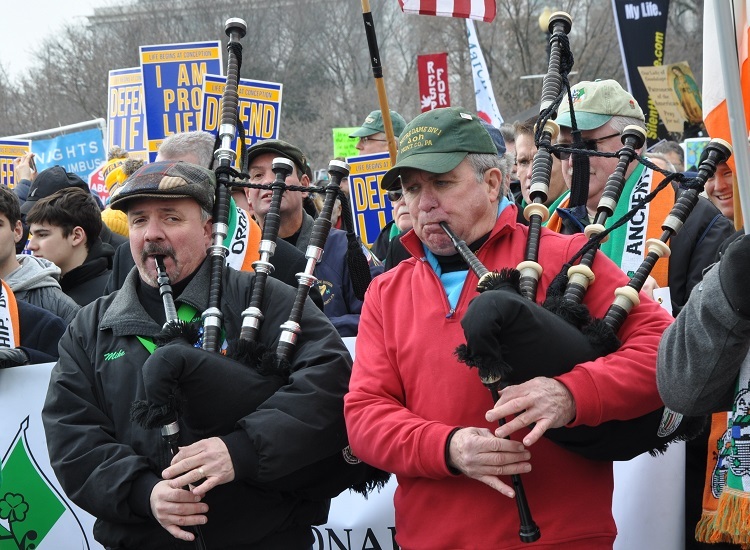 At the urging of President McKay, this year’s contingent were led by two of our Pennsylvania brothers playing the bagpipes. 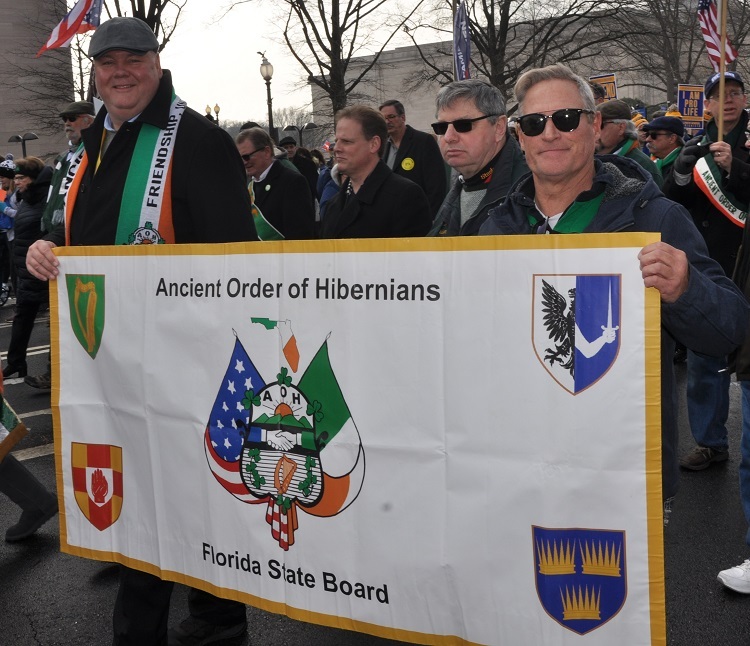 Additionally the new national banners, introduced by National Organizer Tim McSweeney in Louisville, helped make the Hibernians a recognizable presence to those in attendance or watching live on EWTN. 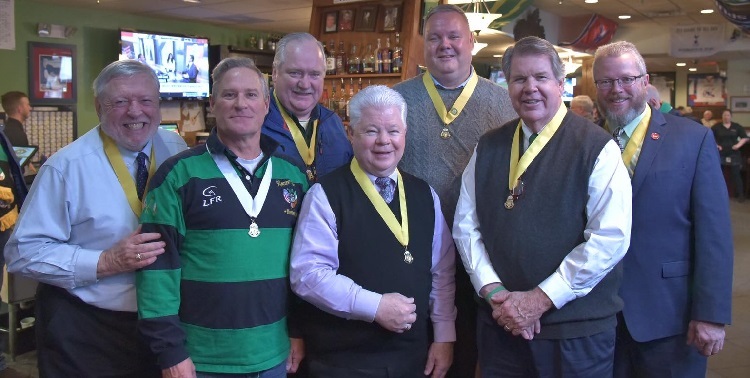 Special thanks is due to Frs. 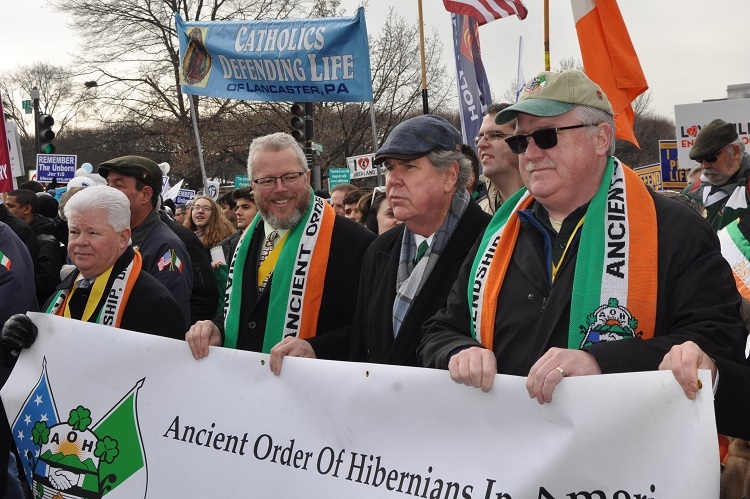 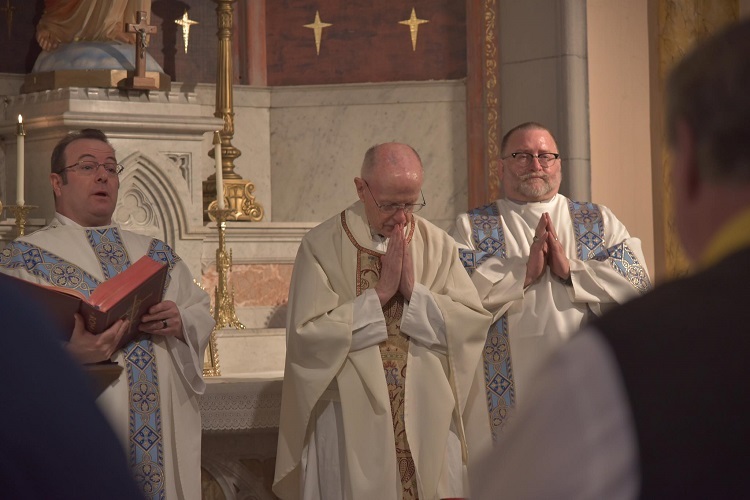 Henry Reid (NY), John Hurley (DC) and Deacon Stephen Mitchell (DC) for celebrating our Hibernian Mass. 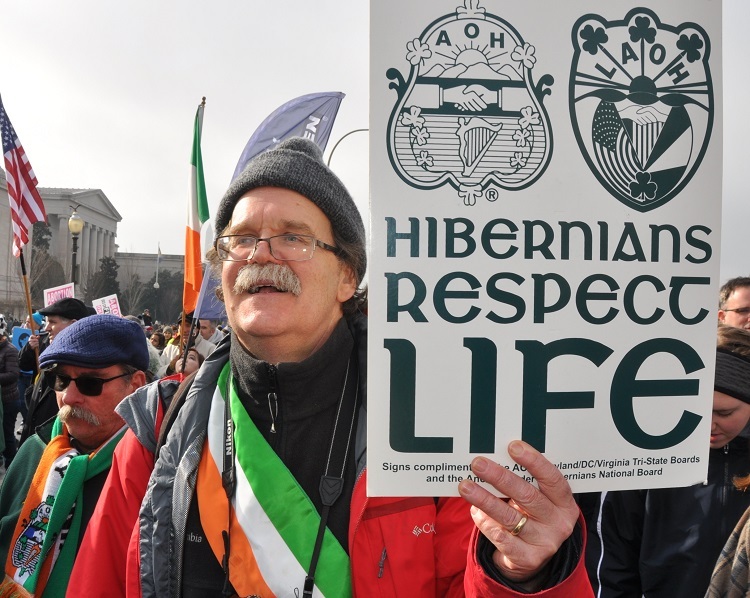 With our intentions focused on finding the value in all life, we hope to see even greater participation next year on January 24, 2020.